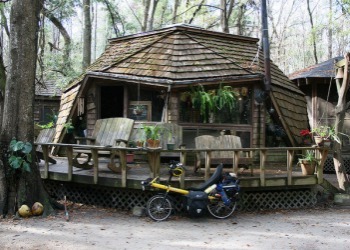 The Hostel in the Forest has operated as an International Youth Hostel for 35 years. It is world renowned for our geodesic domes and 9 tree houses, which were built and have been sustained entirely by volunteers. Hundreds of loving hands have gone into making the Hostel what it is today, a fact that is evident as soon as one steps on the property. 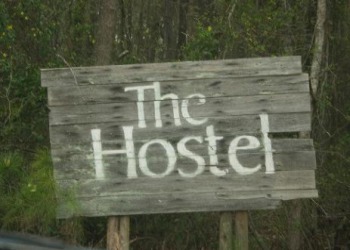 The Hostel sits on 133 acres of forest and wetlands, 2 miles from H.W.95 in Brunswick, Georgia. 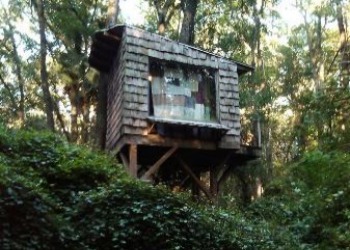 It is located short distances from the famous �Golden Isles� of St. Simons Island and Jekyll Island. There are also many prisitne coastal barrier islands including the famous Cumberland National Seashore close by. The area is unique in every way, with lush, dense sub-tropical forests containing palms, saw palmettos, magnolia, cedar, holly, pine, and myrtle. Huge live oaks draped with moss contrast with the broadleaf evergreens that are the dominant trees of the forest. Well over three hundred species of birds visit this coastal region annually and dozens of species of reptile and amphibian make this their home. Contrasting the forests and the coastal savannahs are the wetlands and swamps where alligators, river otters and wading birds are prolific. The Hostel is a membership organization, you must become a member of The Hostel in order to stay. 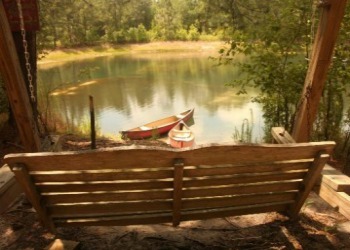 The cost is $25 per night per person. You MUST bring a legal photo ID. The Hostel no longer provides trash/recycling collection, so we ask our members to keep any trash, packaging, and recycling they generate in their time here with their belongings, and to take it with them when they go. Remember, if you pack it in, you must pack it out. Call the day before to confirm your reservation or we may not be able to accommodate you. 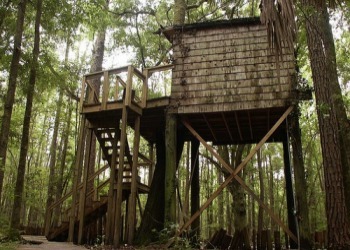 There is no heating or cooling in the tree houses. We only accept cash and travel checks. No pets � no exceptions. Check in time 11:30am � 7pm. You may stay for up to 3 nights. A vegetarian family style meal is prepared each evening by staff and guests. Food donations are always welcome., guests provide their own breakfast and lunch. We have a full kitchen for you to use. We provide organic fairtrade coffee for a small donation.